GRAPELAND – The lights will dim, a drum roll will be heard and the seconds will turn into hours. Then, after what may have seemed like forever for one lucky young lady, the 2017 Peanut Queen will be crowned. Tears of joy will be shed, hugs will be exchanged and thunderous applause will be heard throughout the Lorena Shoultz Auditorium on Saturday, Oct. 14 as the 2017 Peanut Festival comes to a close. The 72nd Annual Peanut Festival Queen’s comp etition will feature eight young ladies vying for the tiara. 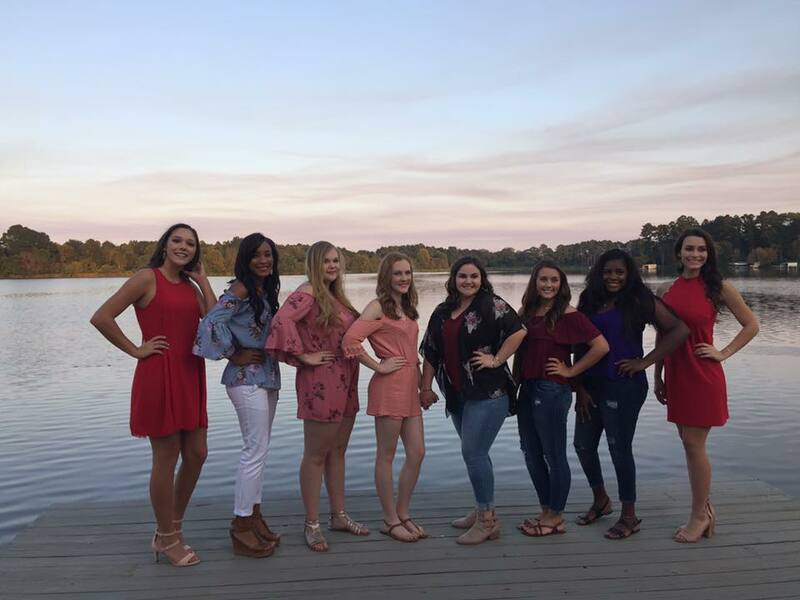 They are: Madelyn Conner, Miss Grapeland Noon Lions Club; Victoria Lane, Miss Sweet Southern Britches; Jennilea Lovell, Miss Sandyland Propane; Keana McKnight, Miss Park Hill Farm; Callie Richburg, Miss Bartee Construction; Aaliyah Sims, Miss Best Flight Travel; Hannah Turner, Miss Elite Fitness; and Alysha Williams, Miss Best Friends Community Services. Prior to a rehearsal on Wednesday, Oct. 4, the elite eight took time to speak with The Messenger. In no particular order, the queen’s contestants were asked the same questions and while many of their answers were similar, a few were distinctly different. The eight young ladies each expressed preparation for the show was – at times – difficult. All agreed, however, it was a fun experience because, among other things, it provided an opportunity for them to get to know one another a little better. Leading off the interviews was Jennilea Lovell, Miss Sandyland Propane. Jenni is the daughter of Gary Lovell. 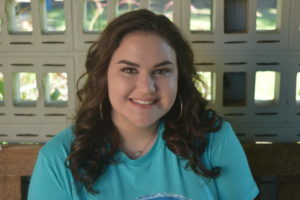 If she were to be crowned as the 2017 Peanut Queen, Jenni expressed, “It would mean a lot to me because I would be able to represent my hometown in a positive way. I’m probably more nervous than anyone, but I’d like to be able to show that no matter how nervous you are, you can do it. 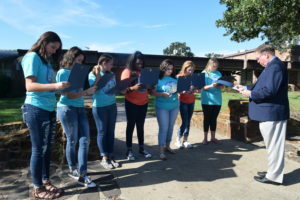 After she graduates in May, Jenni said she plans on attending Sam Houston State University where she intends to pursue a Bachelor’s degree in secondary education. Callie Richburg, Miss Bartee Construction, was the next contestant for the 2017 Peanut Queen’s tiara to discuss the pageant. Callie is the daughter of Niki and Brandon Richburg. 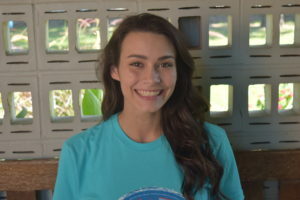 The third contestant to be interviewed was Madelyn Conner, Miss Grapeland Noon Lions Club. 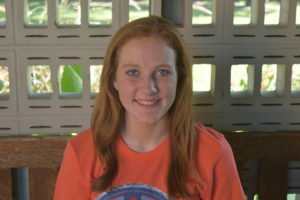 Madelyn is the daughter of Angie and Rusty Conner. Up next was Hannah Turner, Miss Elite Fitness. 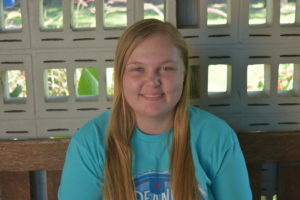 Hannah is the daughter of Ann Stephens and John Turner. m,” Hannah said about why she decided to enter the pageant. Alysha Williams, Miss Best Friends Community Services, was the next Peanut Queen contestant to discuss her reason for entering the pageant. Alysha is the daughter of Bobbie Minter. “I wanted to do it because all of my friends were doing it and I wanted to spend time with them. I wanted to be involved. I joined late because my mom told me it would be too much with school and everything. Everyone was talking about how much fun it was – I was so sad – and then she let me!” she said. Aaliyah Sims, Miss Best Flight Travel, followed as the contestant interviews continued. 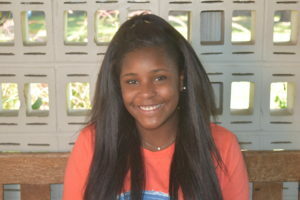 Aaliyah is the daughter of Janice Chapman and Dameion Sims. “No one in my family – and I mean no one – has ever done this and I just wanted to be a little different,” Aaliyah said when asked why she chose to enter the Peanut Queen’s Pageant. 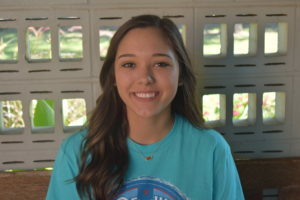 Her future plans include attending the University of Houston where she plans to pursue her degree so she may become an ultrasound technician. pageant. Victoria is the daughter of Kimberly and Thonnie Lane. “I decided to enter the pageant because my mom wanted me to. She has always wanted to be a part of this. 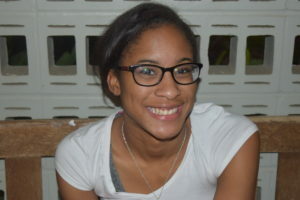 She told me it would be a good experience and it would give me an opportunity to learn a lot,” she said. 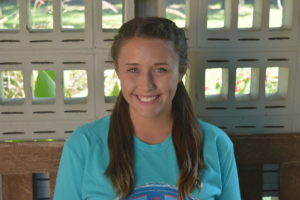 Last, but certainly not least, was Keana McKnight, Miss Park Hill Farm. Keana is the daughter of Sandra and John McKnight. A big grin broke across her face when asked what it would mean to her if she was selected as the 2017 Peanut Queen. The lights are dimmed as the emcee strides to the center of the stage. He looks at the card he has in his hand one last time as he leans into the microphone. Find out on Oct. 14. Reserved tickets are on sale at Platt Heating and Air in Grapeland. General Admission tickets are also available at The Pink Dot, Grapeland State Bank, Sweet Southern Britches, Tammy’s Shear Country and The Gallery. Miss Best Friends Community Services.